← Chris Brown aka “Rihanna Beater” wins 2012 Grammy! Why?! What happened to the long post about suicide that was out there last night? By Louie Mac, February 12, 2012 at 12:58 amThis was so sad to hear about today. In my opinion, Whitney’s voice in her prime will reaimn unmatched. She had awesome range, vocal power, but besides that she had the prettiest tone to her voice (which can’t be taught, either you have it or you don’t). It broke my heart to see the very media that tore her down every chance they could, get on CNN and tell everyone who would listen how iconic she was. People should hear more of that while they’re alive to benefit from it. I pray her mother and daughter find peace today. R.I.P. Whiney Houston =(. I pulled it. Someone read it and asked if an “intervention” was needed. I felt people might take it serious as something I intended to do personally. It was a serious post, about the topic of suicide written after a bottle or two of wine. More like venting. I just had a feeling I should pull it. Why, do you think I should have left it? It’s still there, just not viewable to the public. I can put it back up if you like….maybe. Have to think about it and maybe put a disclaimer at the top of it. No it won’t. No one cares. They want her to have died from an overdose or mis-use of medications! If she dies from anything other than that, then they all have to eat crow for bashing her in the media about her drug use and rush to judgment. 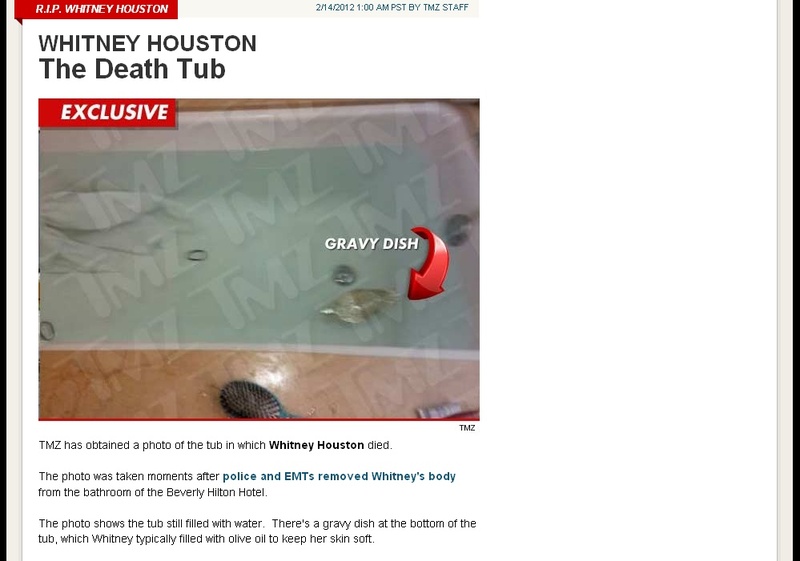 I don’t think these are the real bathtub photos. I think TMZ faked them for the shot in another room. 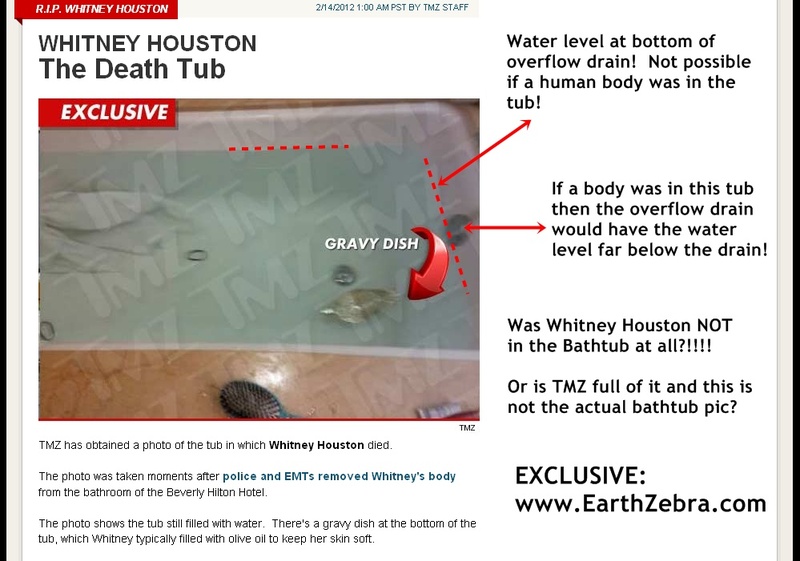 Because if they are the real photos, there was not a body in that tub! It’s impossible! I am sorry, but your bath tub theory is very wrong. When a body is added to a body of water, the water level rises, sometimes causing the bath tub to ever overflow depending on the body weight that is added. From the photo, it would have risen past the water overflow drain. I agree. You just proved me correct. When the water rose from the displaced water due to her body, it then drained out the overflow. Thus when her body was removed the water level would be significantly below the overflow. It is not. She wasn’t in the tub! 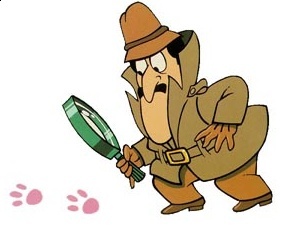 Foul play is at hand here and nobody cares!